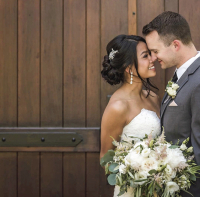 Janelle Urbano and Matthew Loranger were united in marriage on Sunday, June 24th at Wente Vineyard in Livermore, California. Janelle is the daughter of Arlene and Percy Urbano of Manteca, California. Matthew is the son of Mary and Bob Loranger of Prospect Heights, Illinois. The couple currently resides in Littleton, Colorado.